Glamour Weave Curtains just £20! Great news… The Yorkshire Linen Co. in the Merrion Centre is no longer closing and is relaunching with an amazing offer on Glamour Weave Curtains! 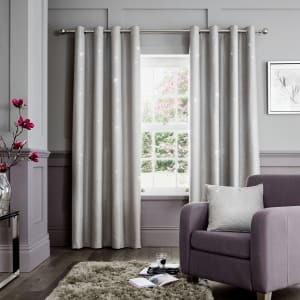 These beautiful glittery woven fabric ring top curtains are fully lined and are only £20 for any size – an incredible offer which is over 60% off the normal price. Available in the on trend colours of silver and heather – pop along to Yorkshire Linen and grab yourself a bargain!